When it comes to finding ways to give children and teens a meaningful High Holiday experience, there are many opportunities to use kids and teenagers in your already existing High Holiday service programming. At times when there is not unique programming for children or teens, you can give your students roles within the main service such as ushering or handing out siddurim (prayer books) and chumashim (Torah books). Depending on the child’s age, they can receive the honor of leading some prayers or doing readings in English. This can give children a way to be up and moving while also staying within the flow of the service. 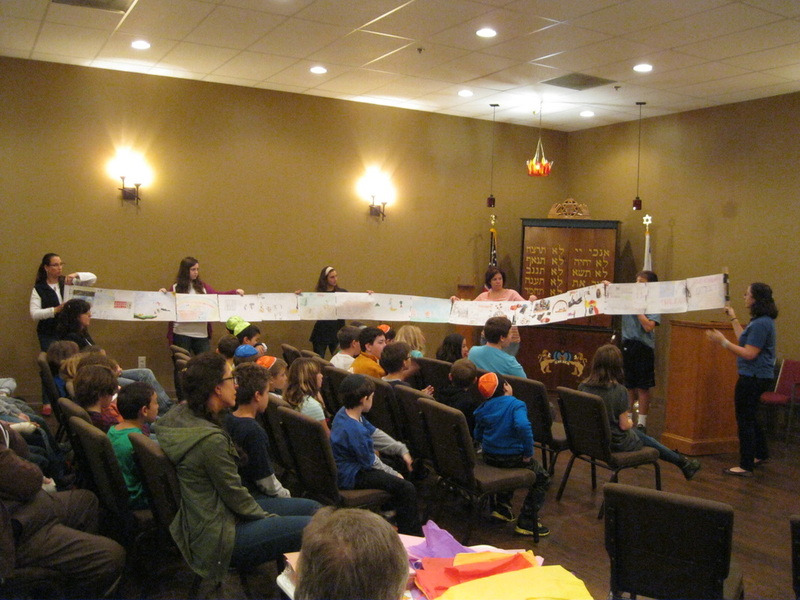 The Torah service is also a perfect place to include children and teens of all ages. Within the Torah service, younger children can receive the honor of opening the ark and teens can participate in aliyot (ascents). Doing group aliyot is great opportunity to honor many different groups of people within your congregation, and teens can be an integral part of this. You can honor the teens who have made the effort to come to services, ones who have leadership roles within the synagogue (through religious school or youth group), and also the teens who are home from college during the High Holidays. This invitation can help them feel like they are an important part of the congregation after they have their b’nei mitzvah and even after they move away from home. If your congregation is already creating programming for younger children, you can give teens many opportunities to put their leadership skills to work within children’s programming. If you have teens who have already trained as mad’richim (counselors), or ones who have demonstrated leadership in other congregational areas, give them this opportunity to have a place to shine and put those skills to use. This occasion will give them an additional important role to have within High Holidays as a whole, and it can also help younger children’s High Holiday experience if they have already started to form relationships with some of their mad’richim. Since this year’s High Holidays do not fall until October, there is more time for the mad’richim to have some more classroom experience before helping with a High Holiday program. If any of these ideas stand out to you as something that your community would be interested in, don’t hesitate to contact your Fellow for help!